At the beginning of the year, the National Association of Home Builders released a report on the biggest challenges builders said they were facing in 2018. Overwhelmingly, and not surprisingly, labor and material prices landed at the top of the list. Panelized and prefabricated walls are one method of addressing the labor challenge and, to a degree, material price volatility as well. Component manufacturing is nothing new; building material dealers around the country have been offering it for years. 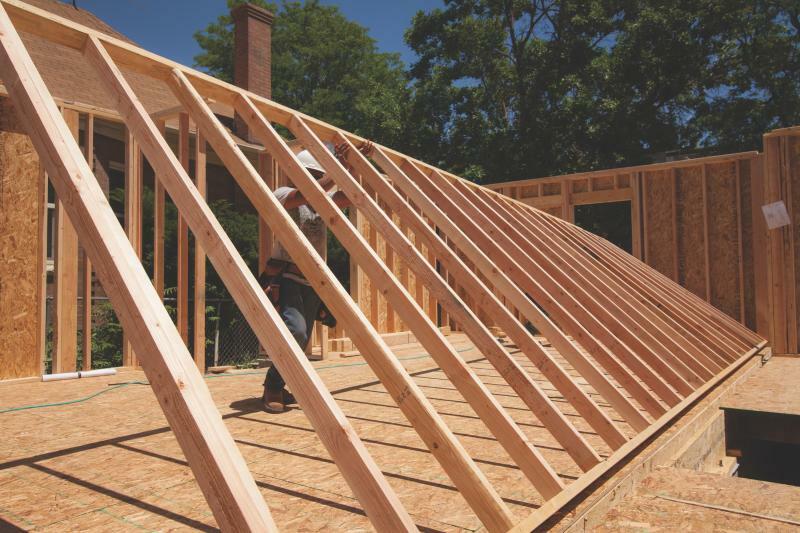 According to ProSales magazine, about 40 percent of the top 100 dealers in the country manufacture roof trusses, 37 percent offer floor trusses, and 22 percent offer wall panels. Perhaps in tune with the trends, another 13 percent say they plan to start offering wall panels soon. “The availability of labor resources and the right skilled labor resources have driven the need for NextPhase,” says Jeremy Dummer, Trus Joist software support manager for Weyerhaeuser, referring to the company’s dealer program for creating fully panelized floor system components and/or precut, pre-labeled framing packages. NextPhase dealers use software to model each home and determine the most efficient material layout. Precut components arrive at the jobsite in bundles, labeled and coordinated with plans for staging and assembly. 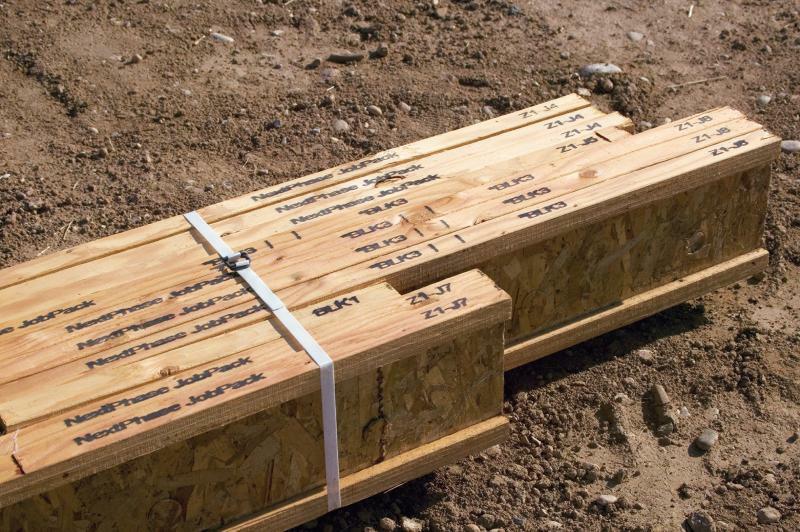 NextPhase Site Solutions combines the company’s Trus Joist products with software and saw technology to create JobPack framing packages for floors, walls, and roofs. Pre-cut components are bundled and labeled to match framing layouts for straightforward installation, reducing waste and errors. Framing members are also pre-drilled for mechanical rough-ins. “In a nutshell: It’s faster, better, and safer,” Dummer says. Faster because materials are pre-cut or prefabricated, including pre-cut holes, reducing or eliminating measuring and cutting in the fi eld; better due to improved accuracy, which trickles down to other trades; and safer because, with most or all cutting already completed, there aren’t awkward cuts made on site or the associated tripping hazards from waste. BMC has been offering pre-cut and pre-built framing products for some time, officially branding them Ready-Frame about six years ago. Available through 32 of the dealer’s locations around the country, Ready-Frame begins with design and optimization through software, which then communicates with the dealers’ saws. Ready-Frame pre-cut floor, wall, and roof framing packages begin with software design that optimizes material usage. SmartBundles arrive pre-cut and pre-labeled for jobsite assembly, requiring less labor and producing less jobsite waste. The company says the effi ciencies translate into 30 percent faster build times versus traditional stick framing. He also notes that the system addresses material costs by eliminating unnecessary parts. “What we offer the builder is consistent, accurate product and the ability to have a guaranteed price,” Osborne says, because they know how much material is going into the house. PUReWall from Covestro takes panelization a step further, offering wall panels consisting of framing, continuous insulation with an integrated weather resistive barrier on the exterior, and spray foam on the interior, thereby eliminating additional steps. Three variations allow for use in all climate zones. Like other options, PUReWall helps save jobsite labor, but it improves accuracy and reduces waste. “If you’re able to install in a manufacturing environment, you have more cost-effective labor because your productivity is much higher,” notes Jim Lambach, Covestro’s industrial marketing manager. PUReWall panels consist of panelized wood frames, rigid polyiso continuous insulation that reduces thermal bridging, an integrated weather resistive barrier that eliminates the need for housewrap, and structural closed-cell spray polyurethane foam in the stud cavity. The panels are structurally comparable to traditional wood stud/OSB-sheathed walls. The company offers three configurations to meet every climate zone as well as net-zero applications. LP recently announced an investment in Entekra, a provider of prefabricated wall panels, floor panels, and roof trusses. Like others, the system starts at the design stage, using software to value engineer each design before the panels are fabricated in a factory. Entekra says a home’s structural shell can be assembled and made weather-tight in three to four days. “The value proposition for the builder is precision, predictability, and increased productivity,” says Mike Sims, LP’s senior vice president of sales and marketing. In addition to reducing waste, eliminating weather factors, increasing quality, and reducing labor, the system allows for more precise scheduling of other trades.